Given the popularity of apps like Instagram that intentionally make your photos look like garbage shot on film, it’s no surprise there’s finally an app that lets your iPhone or iPad shoot video that looks like it was recorded with a VHS camcorder from the mid-1980s. Developed by an LA-based post-production shop called Rarevision, VHS Camcorder degrades the video quality of the iPhone 5 or iPhone 6 to the point where you’d swear it was a VHS home video you’ve been watching for the past 30 years. To further the effect, you can shake your phone or swipe on the screen while recording to add additional tracking and distortion artifacts, and even turn on a time and date stamp in the lower left corner. 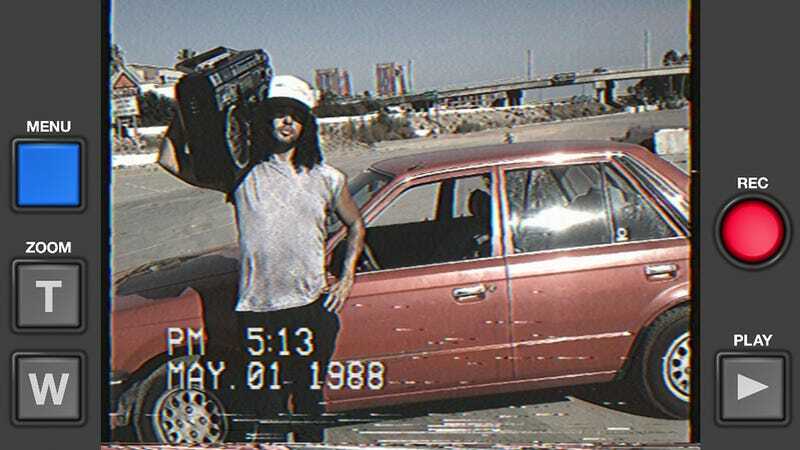 The app is just four bucks, and with the ability to even spoof the video’s recorded date, you finally have the opportunity to re-shoot all of your embarrassing childhood videos to make yourself look a lot cooler than everyone else who survived the 80s.